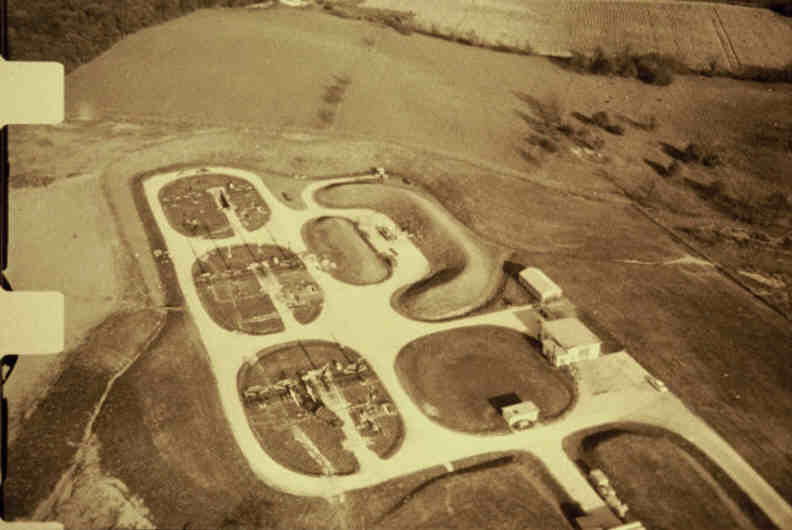 To the right is an aerial view of Site M-74 printed in the Waukesha Daily Freeman. The photo shows the three Magazines in line; the revetment area to the right of Pit (Magazine) "B" and "C". To the right of Pit "A" is the water pump house (in the front of the adjacent round rectanglar area) and the missile assembly building on the right of the round rectanglar area. The generator building is beyond the assembly building and partially behind the revetment area. The 3 photos to the right were published in the Waukesha Daily Freeman in the late 1950's. 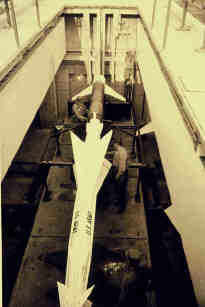 The near photo is of a missile in Pit "B" being brought to the surface by the elevator. There are 3 soldiers in this photo. On the far right top is a photo of the 4 missile launchers being raised to the firing position above Pit "B". 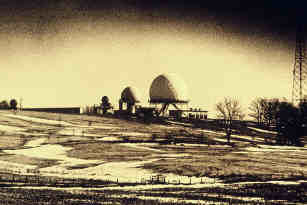 Below that photo is a photo of the Battery Fire Control Area with radomes (radar domes) and buildings visible. On the right is another photo printed in the Waukesha Daily Freeman in the late 1950's. This is a photo taken in front of "A" Pit (Magazine). 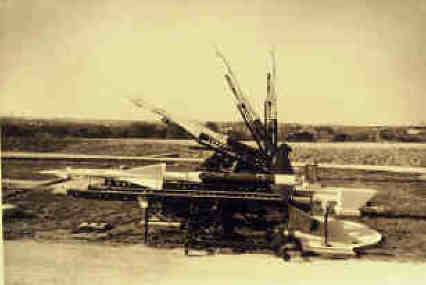 The missile is on an elevator mounted launcher and the launcher is being raised to the firing position. Also visible in the photo is the Magazine Control Room escape hatch - between the soldier in the photo and elevating missile. The escape hatch has a counter balance weight to cause the hatch to pop open when released from the inside. To the left of the escape hatch is a fire hose stand for emergency use. 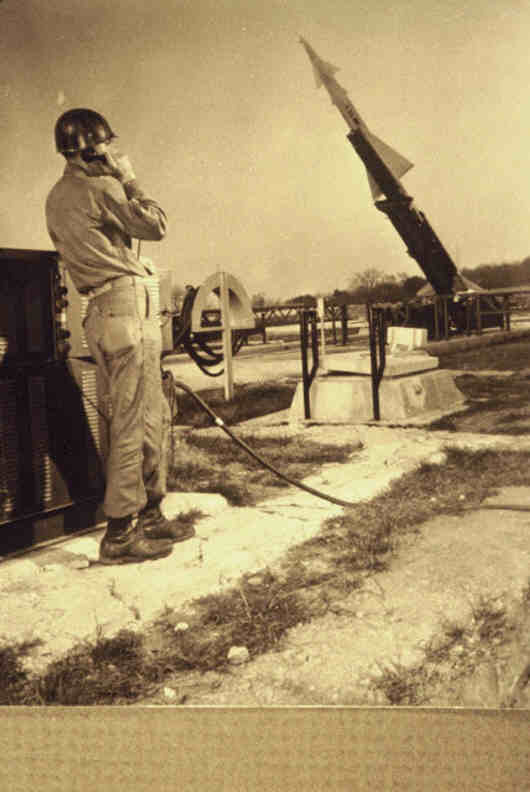 The soldier is standing next to, or leaning, on a frequency converter that changed the electrical power to 400 cycles per second. The control buttons on the frequency converter are visible just behind the soldier at about belt level. The soldier is on the telephone to the Control Panel operator in the Control Room. This is a "posed" photo showing equipment and activity not quite in the normal setting. We do not have the article the photo appeared in at this time. (see Other Stuff for the article and photos). In the photo below the revetment area is the earthern berms (the backward C and the short i) to the right of the Mid and last Magazine. The more dangerous work with the liguid fueled missiles was done in the revetment area. The area was designed to contain the blast, if one should occur, while doing this work. The earthern mounds would asorb the flying shrapnel and the opening upward would direct the concussion . No, this is not a photo of Site M-74. But it such a good photo that it really deserved to be shown - and this is a good page to place it on. The photo is probably from a firing range. Could be Red Canyon Range Camp (RCRC) or McGregor Range. 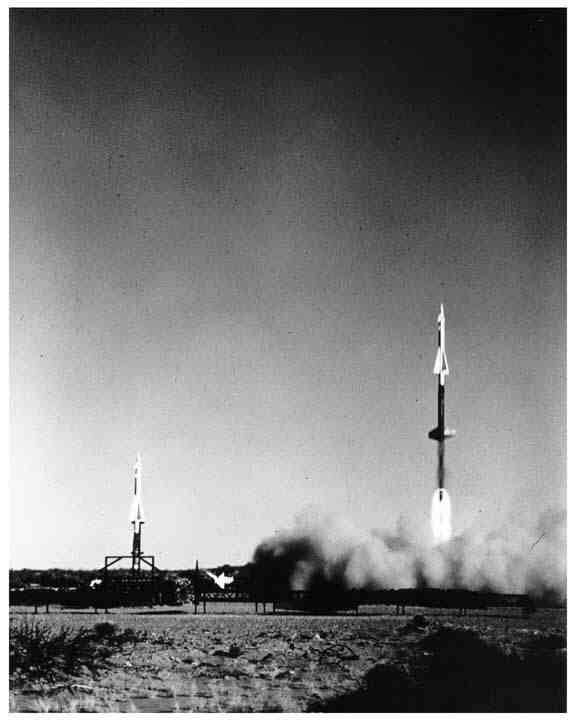 This is the Nike Ajax missile, just launched, with the Jet Assist Take Off (JATO) booster rocket pushing it up. 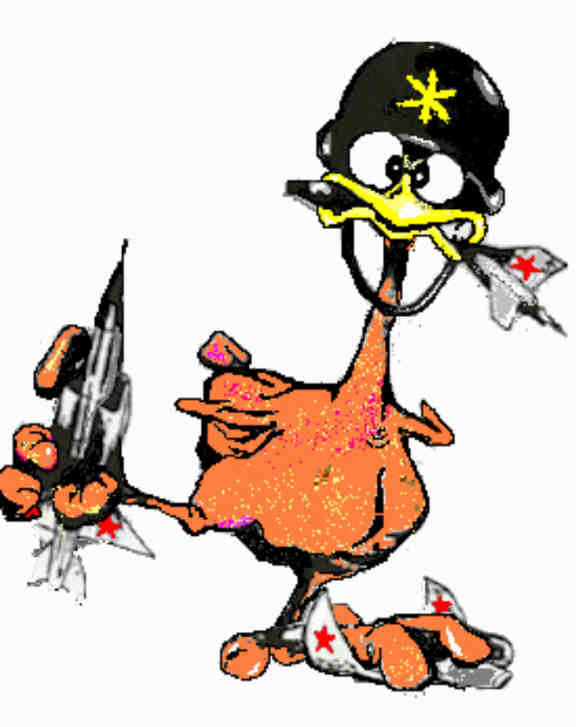 When the JATO booster burns out the drag of the empty rocket will cause separation and ignition of the liquid fuel missile motor. The booster actually ends where the lower fins are. Beneath these fins, in the photo, you see a trail of smoke and beneath the smoke you see the flame of the shaped propellant of the solid rocket booster motor.